In the late 1980’s, a colourful Sydney character came up with a business idea. Create a business and sell it. He registered the business name “The Roofing Professionals”. It was too hard to build the business up before selling it. So, he went into plan 2. Split the business up into 4 and now he had four times the businesses to offload to some unsuspecting buyers. He was a great salesman and the “Northside”, “Eastside”, “Westside” and ‘”Southside” spin-offs were sold. He promised ‘everything’ to the new business owners BUT (how did you guess) delivered very little. Soon, the owners of “The Roofing Professionals Eastside” and “The Roofing Professionals Southside” found themselves on sinking ships. They drowned. Somehow, my brother who had “The Roofing Professionals Westside” and Ron who has ended up with “The Roofing Professionals Northside” kept going. Not only did they survive…. they thrived. They came up with their own business ideas and implemented them well. And they built up a good brand as professional Sydney roofers. Hundreds of thousands of roofs all over Sydney have experienced The Roofing Professionals treatment…..
For decades, there were only two “The Roofing Professionals” operating (as separate independent businesses) in Sydney. The Roofing Professionals Northside – for Brad. What about The Roofing Professionals Westside? Then I found my feet. To find out more about how “The Roofing Professionals Westside” has evolved go to my story. And back in those days there was no facebook, twitter or web 2.0 stuff. Over the years, this website has catered for the needs of home owners looking for trusty, professional roofers in Sydney who were able to repair leaks in their roofs and to replace their aging roofs. 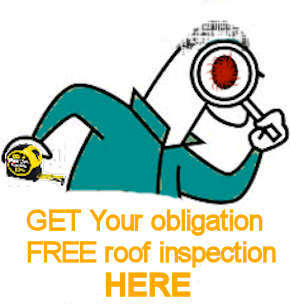 And The Roofing Professionals website has some unique content and will continue to be a valuable roofing solutions source to property owners in Sydney looking for ways to fix their roofs…. but it will mainly be used a a gateway to the three independent roofing businesses. I built this original roofing website to include Ron, who runs used his own separate roofing business from Artarmon, in Sydney. Ron has since sold The Roofing Professionals Northside to Brad and he will cover the northern suburbs of Sydney. Boris has taken over The Roofing Professionals Eastside brand from Ron and he will be based in the eastern suburbs. Now, we all have our own websites. … A little bit more of history. There will be more emphasis on metal roofs, especially colorbond roofs – because I specialise in these types of roofs. I also do repairs to tile roofs, so you will find resources for these types of roof repairs also. Meanwhile, the original ‘The Roofing Professionals” website will still be maintained because of its good content and for historical reasons. There is already a lot of great content on this (The Roofing Professionals Westside) website and more will be added as I find the time,,, So, keep this site on your favourites list. After decades of 'talent stacking' (qualified Civil Engineer, site managing commercial building and civil construction projects, roofing contractor, business coach, copy writer, small business entrepreneur and avid player of the game of life), I now spend most of my days on roofs in Sydney. Problem solving leaking roofs is my niche and I have my experienced team of roof repairers roaming the suburbs of Sydney replacing metal roofs and getting leaks fixed for good!